Sometimes it’s good to spice it up a bit, know what I mean? Then marry a man with four boys, all of whom LOVE spicy, I mean REALLY spicy, and you’re challenged to shake up the palate with lots of Sriracha and Tabasco , not to mention Nando’s perryperry sauce which evidently is appropriate for everything, at least everything cooked on a grill. So I was faced with the choice of holding on to mild salsa as if it was a teddy bear OR diving in and testing the spicy waters. So that’s what I did, I dove in, burnt tongue and all. 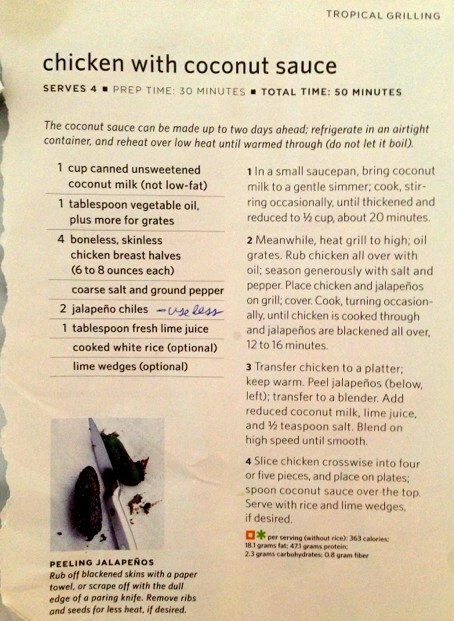 As you know I’m all about sharing the love among friends, so here goes (click on the recipe photo and it will enlarge)…and I do believe it was Martha who first gave me this recipe (Martha Stewart, I feel like she and I are on a first-name basis given how much we’ve shared over the years.) Let me know if you like it as much as we do! I serve it with Trader Joe’s rice medley to add more oomph, and sometimes I add black beans to the rice. The creamy sauce doesn’t show much in this photo but it’s there. 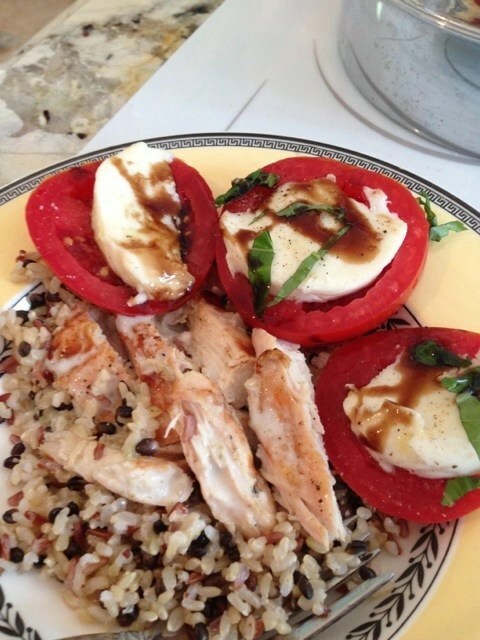 Tomato Caprese salad was extra. 3 Lessons I’ve Learned from a Girl Named Cady Made by Girl Made the Night Saved by a Pancake Tearrific! Fish Tacos YES!